On a May afternoon in 1943, an Army Air Forces bomber crashed into the Pacific Ocean and disappeared. Then, on the ocean surface, the face of a young lieutenant appeared as he struggled to pull himself aboard a life raft. So began one of the most extraordinary odysseys of the Second World War. 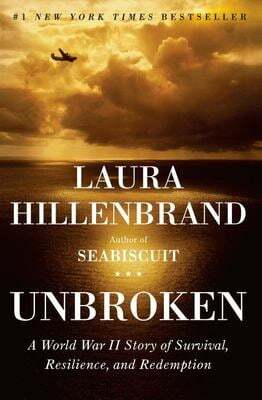 In her long-awaited new book, the author of "Seabiscuit" tells an unforgettable story of a man's journey into extremity. Used Good (29 available) Shows some signs of wear, and may have some markings on the inside. 100% Money Back Guarantee. Shipped to over one million happy customers. Your purchase benefits world literacy! Used Very Good (10 available) Former Library book. Great condition for a used book! Minimal wear. 100% Money Back Guarantee. Shipped to over one million happy customers. Your purchase benefits world literacy!